Stephen Donnelly, Independent TD for Wicklow and East Carlow, and member of the Joint Committee on Finance, Public Expenditure and Reform has called on the Government to heed the recommendations of the committee’s report on mortgage arrears resolution process. The report, published earlier this week, highlights the inadequacies of the Government’s response to date. 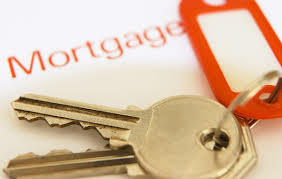 “According to the CSO there are 64,110 owner occupied mortgages in Wicklow. If the national average holds true for Mortgage arrears, that would mean 11,475 households are in arrears in Wicklow. And that doesn’t include buy to let properties. The Government is failing hundreds of thousands of households nationwide, with many households in Wicklow also paying the price. This report highlights how we can engineer the best economic outcome for the country, and not the best financial outcome for the banks. “Ever since the Government and the Central Bank introduced arrears targets, the situation has begun to move, but not necessarily in the right direction. What the committee learned from the hearings behind this report is that the different banks have different approaches to dealing with the problem, and while some are working to put sustainable solutions in place, others are throwing their customers to be thrown to the wolves. The Government is complicit in allowing this to happen. “The committee was particularly taken aback by the public refusal of Bank of Ireland to engage in any write-down of secured debt. This is a direct contradiction of stated Government policy in relation to the new insolvency legislation. It is unacceptable that a financial institution that received the support of the state is now openly stymieing our economic recovery in this manner.